Welcome to part 3! This time we’ll dissect Scaled Nightmare, Shadow Word: Horror, Blood Warriors, and Master of Evolution. 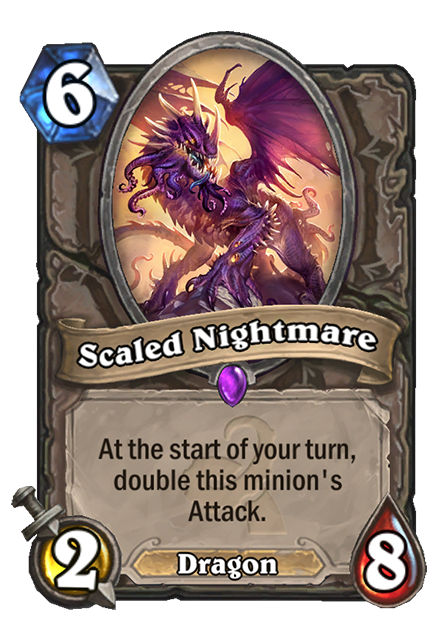 This scaly monster from your nightmares will come to occupy a distinctly secure spot in Dragon Priest decks. First of all, he’s a dragon, which has obvious benefits for the archetype. 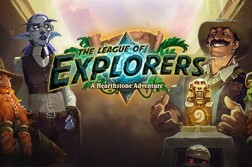 But secondly, he has a humongous health pool – we all know Priests love their beefy minions. Anduin can keep Smaug’s buddy here healthy and topped off as he grows into a massive killing machine. With cards like Velen’s Chosen and Inner Fire he can quickly get out of hand and demand a swift response. He could possibly appear in Dragon Paladin decks as Uther can also buff him with cards like Blessing of Kings, but I think for the most part he’ll be adopted by Anduin. An exceptional Priest card here, Blizzard just can’t stop giving Priests more and more answers to aggro decks. 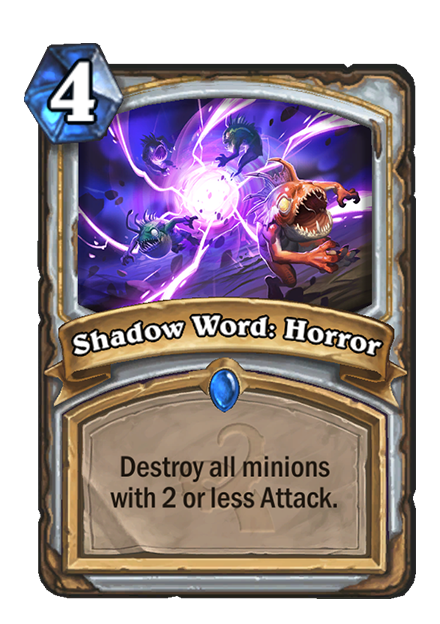 Now Hunters and Shamans will have to think about this card as they try to flood the board in the early game against Priests. This card inadvertently makes cards like Defender of Argus and Dire Wolf Alpha more valuable by increasing adjacent minions attack past 2. 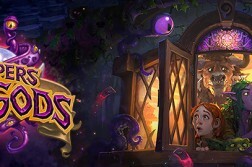 Most Priest decks will probably end up including at least one copy to combat aggro decks on the ladder. This card is incredible for Warriors. I was almost tempted to put it in the epic tier, but I don’t think it’ll end up being quite THAT good. This card will no doubt become a staple in fatigue Warrior and Patron Warrior. 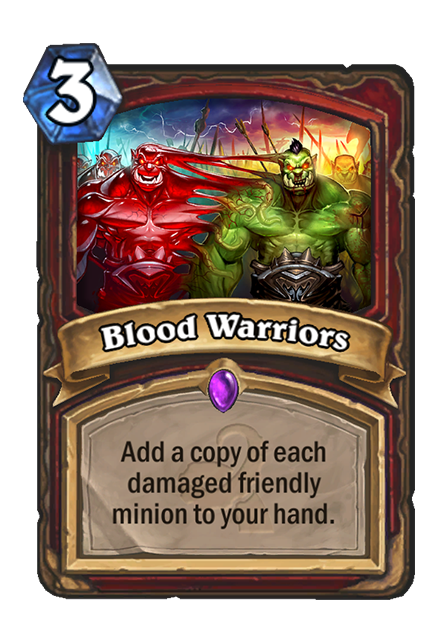 Imagine dropping a Patron, using Inner Rage and Whirlwind to create 4 Patrons on board and then casting Blood Warriors to add 2 more to your hand. The implications of this card are far reaching and could end up revolutionizing Warrior decks and causing everyone to get in here again. A great Shaman card, this guy can boost one of your totems to a significantly better presence or bypass negative deathrattles on cards such as Deathlord, Zombie Chow, and Dancing Swords by transforming them into another card. You’ll probably see him in more late game focused shaman builds (Hallazeal also helps encourage this type of shaman deck) because you’ll only want to drop him when you already have a minion on board meaning you won’t always play him on turn 4. 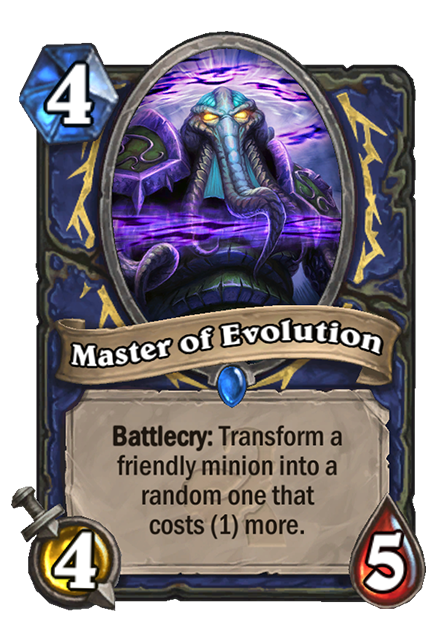 With good stats for the cost and a fun, interesting battlecry, expect to see him pop up in certain types of Shaman decks. Because of the random aspect, I don’t think you’ll see him appear in too many professional games, but who knows, a new Shaman build can always be naturally selected.